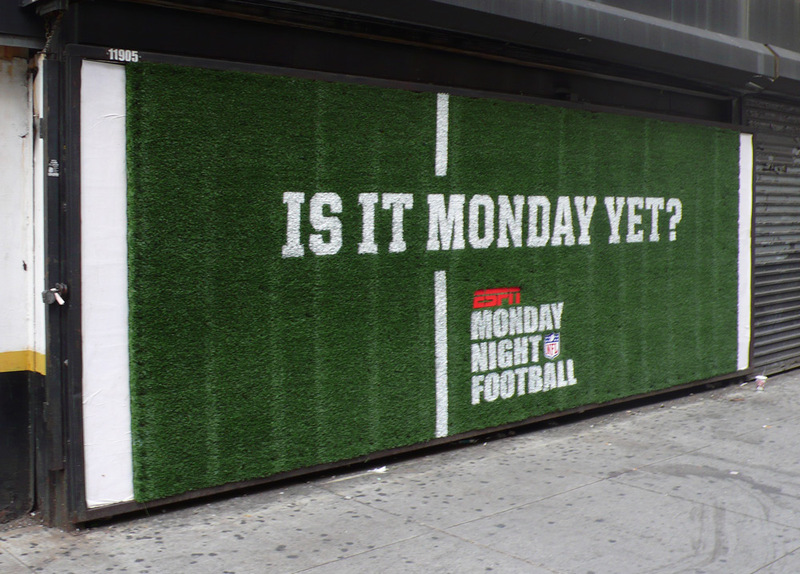 Public Ad Campaign: Is It Monday Yet? Though it is hard to see, the green "poster" in the ad frame is made of Astroturf. Companies will do anything to stand out as they vie for your attention throughout your daily routine. Despite the fact that this "poster" is in an expected location, it made me think of ESPN putting Monday Night Football and it's accompanying catch phrase on The Great Lawn in Central Park. As accepted forms of public advertising become less engaging to the public we see advertising incorporating itself into less expected environments.